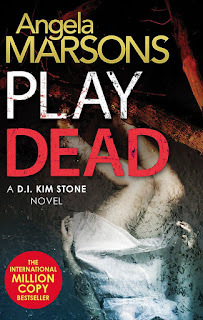 I stupidly jumped into the DI Kim Stone series at book 3 but at absolutely no detriment as I immediately loved Angela Marsons writing and her amazing character of Kim Stone. Book 4 languished on my TBR for far too long but good things come to those who wait and this was SO GOOD!! You can definitely read this book as a standalone and it is so brilliant that I think it will get the same high ratings from new readers as those given by die-hard Kim Stone fans. What a highly imaginative storyline this is; it is so utterly compelling, and slightly grisly, that it draws the reader in immediately. I must have a touch of the macabre about me as I loved the setting on a body farm and, with witty names of the 'residents' like Jack and Vera, I did quite literally laugh out loud. To be honest, I didn't realise that body farms were a real thing but it was absolutely fascinating to think that there are such facilities where the different stages of decomposition can be observed and studied. I do love books that send me off to google to do a little research of my own. As strong a character as Kim Stone is, she has some competition in Play Dead with reporter Tracy Frost. Oh how Tracy annoyed me! She is such a bloodhound; sniffing out stories and generally making a nuisance of herself...but you quickly get the impression that something else lies behind the facade of Tracy Frost. As much as she annoyed me, she intrigued me and I simply couldn't read fast enough to uncover Tracy's story. Play Dead is an ingenious storyline with a touch of the macabre that I absolutely raced through. It is gripping, intriguing and utterly compelling and I am already looking forward to my next literary visit with DI Kim Stone.